Running for more than 30 minutes, without resting 30 minutes will burn out ozone generator prematurely. 1 year warranty which does not cover cost of shipping to or from after 30 days or accidental damage. Upon inspection, replacement or repair for any damage caused by misuse will be at buyers cost and option. The Tri-Oxy® FRESH water ozonator uses high frequency and voltage to produce purified drinking water that is rich in oxygen. It can also be used for other household needs, such as cleaning fruits and vegetables. The machine generates energy and attaches oxygen molecules together to produce ozone. Ozone contains three oxygen atoms and is an activated state of oxygen. Ozone breaks down pollutants into more simple, and much less harmful molecules, when it reacts with them in water. The FRESH is a high quality ozonator that is built to operate for many years. It is beneficial to drink ozonated water due to its guaranteed purity, as well as the boost to your body's oxygen levels. It is crucial for many bodily functions, such as the body's elimination and nutrient distribution process, that optimum oxygen levels are maintained. Ozonated water adds oxygen, and also kills microbes in the bloodstream, which gives the immune system a boost. 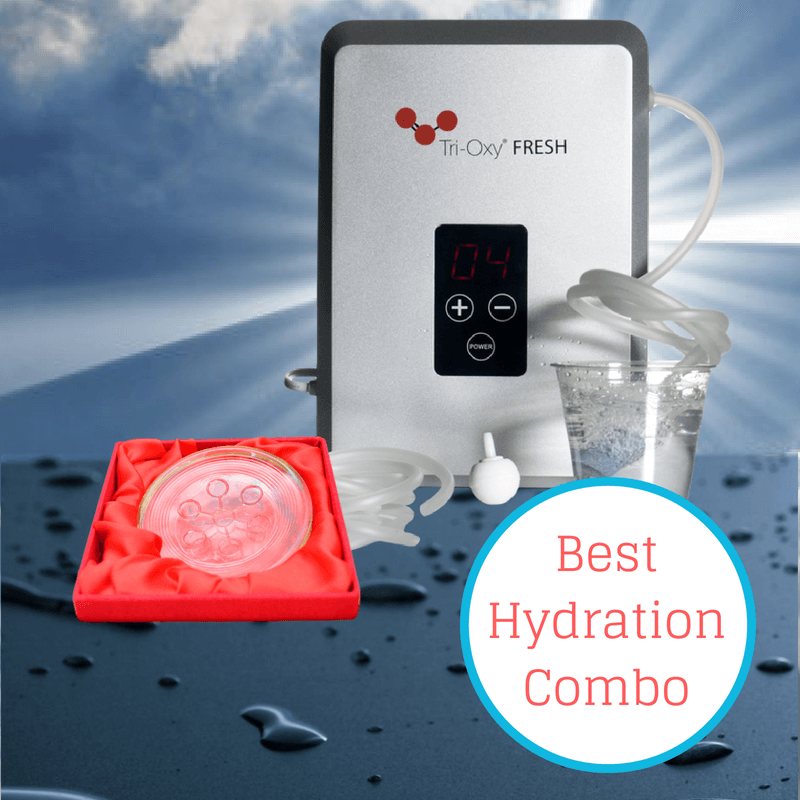 You can increase the benefits of consuming ozonated water even further by using the FRESH with the Bio Disc 2. The Tri-Oxy FRESH produces small amounts of ozonated water that can be used right away for drinking, cleaning, washing hands, and/or rinsing food. You can greatly extend the shelf life of fresh fruits, vegetables, and other food by using ozonated water to clean and cook. The included manual explains how to operate and troubleshoot the FRESH. Basic operation consists of connecting to power, using the power button, and selecting an operation time. It is important to exit any non-ventilated room in which the FRESH is in use. The device will automatically stop generating ozone once the timer runs out. Make sure to read through the user manual, including all safety precautions. The FRESH should not be used in an environment with humidity, high temperatures, or oil content. These kind of environments can negatively impact the effect of ozone.